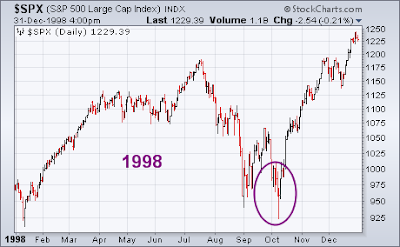 FEAR STILL CLIMBING…The market’s “fear gauge” is climbing back towards 50 as the bailout fails to inspire confidence. 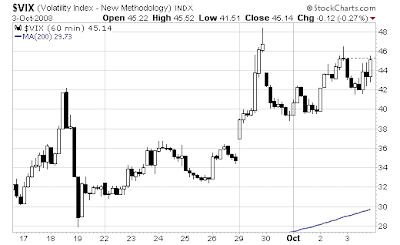 Chart 5 shows the 60 minute chart hitting its high when the first bailout bill was defeated in the house last Monday. 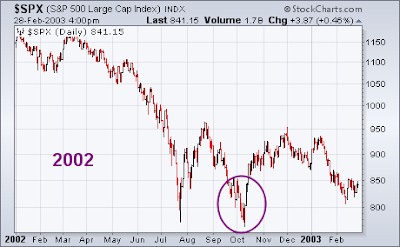 The all-time low was 9.89 on 1/24/07. 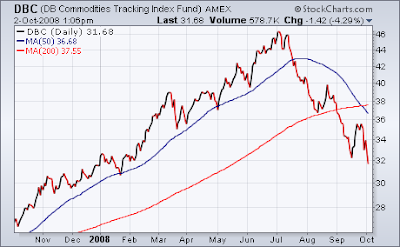 COMMODITIES FALL WITH EURO… Commodities generally go in the opposite direction of the US Dollar. The dollar had its largest weekly gain ever against the Euro this week, pushing commodity prices lower. The European Central Bank may have to lower interest rates to stimulate the economy. 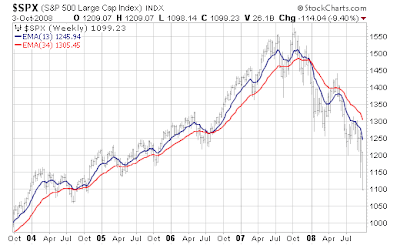 This makes the Euro less attractive versus the dollar, and puts pressure on commodity prices. NDT COMMENT: Focus on capital preservation. 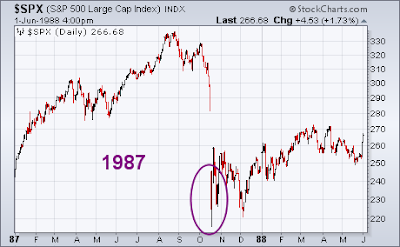 I sound like a broken record, but “the one who loses the least in a bear market is the winner”. Warren Buffet put another $5 Billion to work this week, buying shares in General Electric. His investment is already underwater.